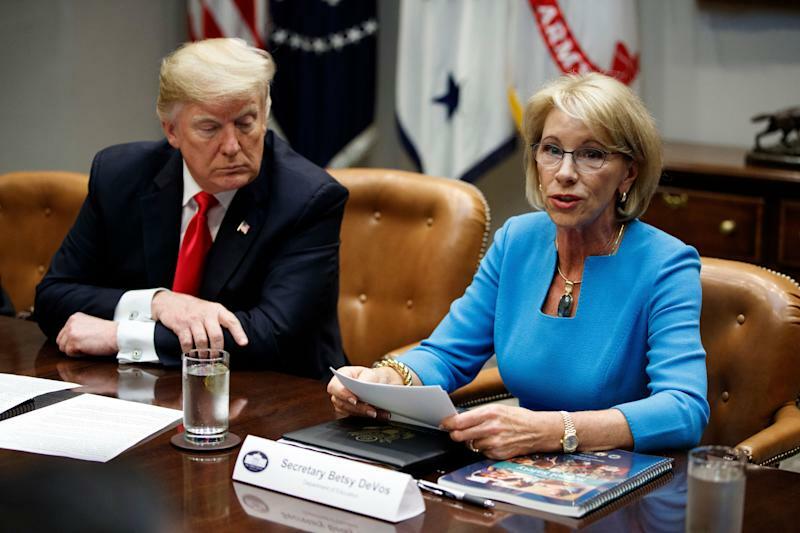 President Trump told reporters Thursday that he has overridden a budget request by Education Secretary Betsy DeVos that would have stripped funding for the Special Olympics. DeVos appeared Tuesday before the House Education Appropriations Subcommittee and caused an outcry after being questioned about her request to strip $17.6 million from the Special Olympics as part of her proposed education budget. Her clash at the House hearing with Rep. Mark Pocan, D-Wis., went viral, and generated embarrassing headlines for the Trump administration. With the story gaining more traction by the hour, DeVos continued to try to clarify the thinking behind her budget request. After days of attempting to explain that the federal government couldn’t afford to fund “every worthy program,” however, DeVos offered a new version of events.